Cut avocados in half, remove the seed. Arrange avocado halves on a baking sheet, resting them on their back to prevent the avocados from tipping over. Drizzle olive oil over each half. Crack 1 egg, setting the yolk inside the hole, being careful to keep the yolks intact. Season each filled avocado with spring onions, parsley, sea salt, and pepper. Gently place baking sheet in the preheated oven and bake until eggs are cooked. Notes: If the avocado has a small hole from the seed, simply scoop the hole to match the size of the egg. Add anything you want on top from bacon to parsley. 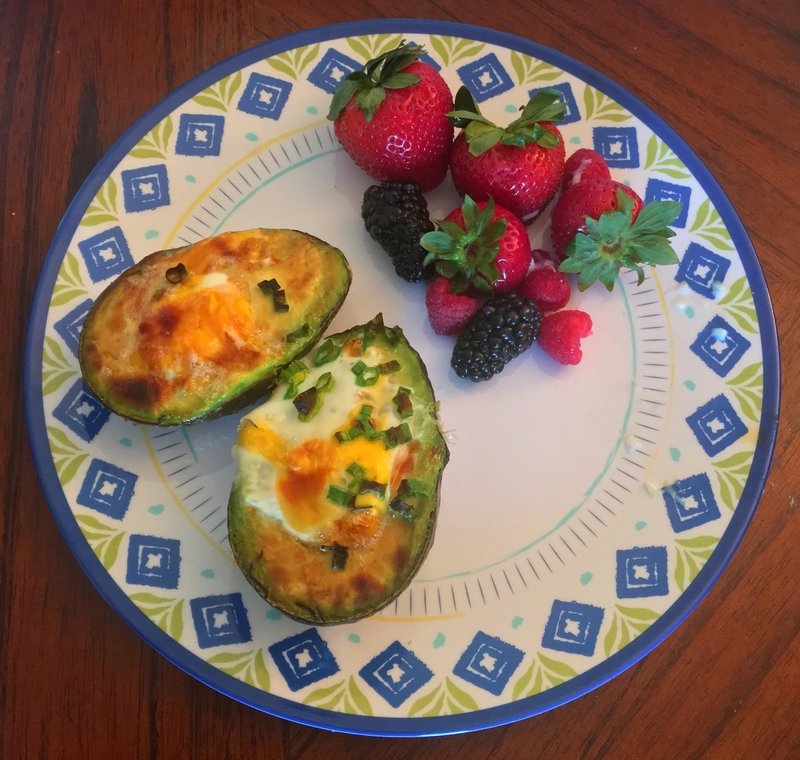 Eggs and avocados can be broiled for about 5 minutes for a quicker version.